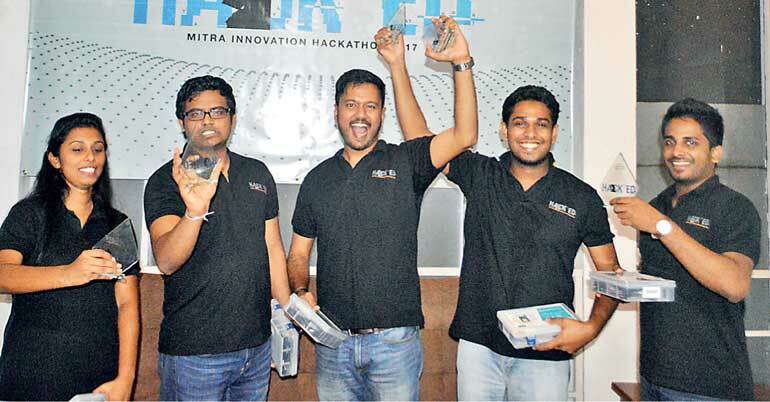 On Saturday 7 October, Mitra Innovation –a Sri Lankan and UK based software engineeringcompany – held its first-ever internal Hackathon, called Hack’ed, and Team Alfred powered its way through to first place. Competing against seven other expert engineering teams, Alfred grabbed first place in the 10-hour hacking marathon with a well thought out, brilliantly put together piece of software engineering called ‘Alfred for JIRA’. ‘Alfred for JIRA’ is an insights and analytics app for senior level project managers who find it time-consuming and tiring to keep tabs on the progress of multiple ongoing projects. The app produces visualised and descriptive statistics on all the projects within an organisation. Team Alfred delivered the app within the short 10-hourHackathon period using a mix of technologies such as: Apollo, React, Victory, GraphQL, Node.JS, PostgreSQL, NGINX and Let’s Encrypt. The winning team also demonstrated their expertise in Amazon Web Services (AWS) products such as AWS Glue, Route 53, EC2 and Lambda to power the winning app. Demonstrating the app to an expert panel of judges – comprising Hasitha Yaggahavita from CTO 99X, Venura Mendis from CEO WSO2 Telco, and Dr. Ashok Suppiah, co-founder and CEO of Mitra Innovation – Alfred for JIRA easily impressed its audience with its ease-of-use features, and intuitive design, backed by powerful technologies. All teams taking part in the Hackathon were provided with AWS accounts to deploy and run their apps. Mitra Innovation is now looking forward to the 2018 Mitra Innovation Hackathon!